Get the ultimate combination of power, convenience and versatility with the 18V ONE+ drill driver kit from RYOBI. This upgraded version of one of our most popular kits now comes with a high-capacity 5.0Ah battery, meaning you can get more achieved between charges. It also comes with a nylon bag for easy and safe storage and transportation. The compact drill driver offers you a smart design featuring variable speed control, built-in LED work light, and a MagTray to keep all your screws in easy reach. So whether you’re just getting started in the massive ONE+ range, or just want to expand or upgrade your existing collection of power tools, this is the kit you need. The long-lasting batteries and practical drill driver deliver great results for all your household projects. 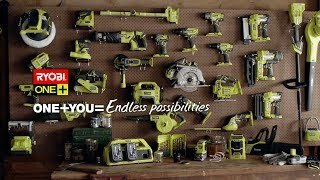 Find the RYOBI 18V ONE+ drill driver kit at your nearest Bunnings Warehouse.